It is a fact that the right treatment begins only with the right diagnosis. We at AZA Diagnostic Centre realize the importance that the diagnosis plays when it comes to treatment as 70% of treatment decisions in India are based on pathological test results and hence, would want to deliver it with the maximum accuracy. With the rise in health-consciousness among the society, there has been an exponential growth in the number of diagnostic laboratories. AZA aims to stand out among them with our quality services ensuring minimum TAT. We are big enough to handle large volumes of samples efficiently and effectively, permitting delivery of high quality, maintaining highest of customer satisfaction levels. AZA aims to be a pan India provider of expert and highest quality laboratory testing and pathology diagnosis with utmost accuracy. 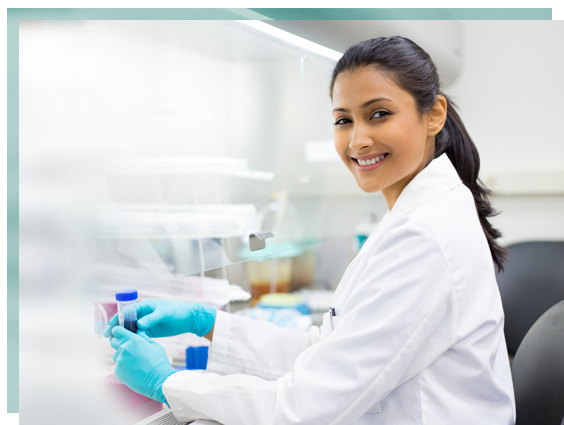 AZA is committed to provide quality, affordable and sustainable medical laboratory services backed by state-of-the art technologies, hands-on expertise and service excellence.